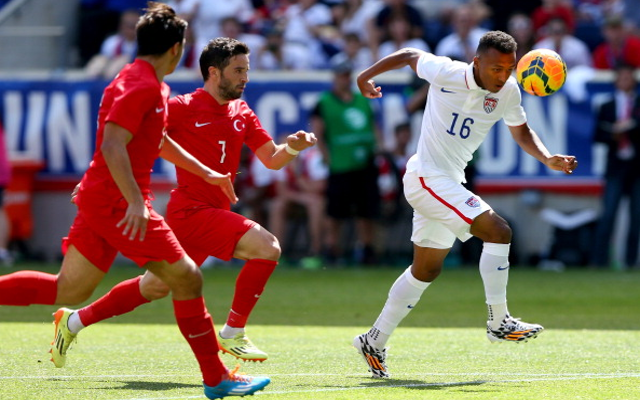 Former Bayern Munich midfielder Julian Green will not be part of the United States’ Gold Cup squad this summer, according to Fox Soccer reported Kyle McCarthy. The Gold Cup is a huge tournament for the United States – essentially being the North American equivalent of the European Championships. This years tournament is due to kick off in mid July, but the news that there will be no place for Green will be a bitter blow for the 20 year old. He came through the youth ranks at Bayern, but has been on loan at Hamburg for the last two seasons. He represented Germany at youth level, but made the switch to the USA when he was in the under 18s.